The last Telethon was held in 2007 – but neither RTÉ nor the People in Need Trust itself can see another being held. The plaque marking the former People in Need HQ at Exchequer Chambers, Exchequer Street, Dublin. THE ORGANISERS OF the People in Need Telethon say they have no plans to hold another Telethon event in aid of People in Need, some five years after the last event was held – with its chairman believing that the event has “run its course”. The nationwide event in aid of good causes was previously held every two years, beginning in 1989, with the last event held in 2007 raising a record €7.5 million. Though the October 2007 event made a profit of just under €7 million – just before the global credit crunch took an impact on Ireland’s finances – there now appears to be little sign of another event being held in the foreseeable future. A total of €35 million was raised for good causes in the ten Telethons held between 1989 and 2007, with all proceeds being distributed by the People in Need Trust to various smaller and lesser-known good causes in grants of up to €50,000. People in Need Trust chairman David Harvey said the body had “tried a few times to get a Telethon off the ground [since then], but that didn’t happen”. Though the events have been successful in raising millions for good causes, Harvey added that a significant level of funding was needed simply to run such a fundraiser in the first place. An RTÉ spokeswoman confirmed there were “no plans for another Telethon,” before listing other charity initiatives undertaken by the national broadcaster in recent years. “Over €169,000 was raised for charity through Failte Towers in 2008, over €100,000 was raised for Lord of the Rings in 2009 and €100,000 for ICA Bootcamp in 2011,” the spokeswoman said. Last year’s 2fm Toy Appeal for St Vincent de Paul had raised the equivalent of €1.2 million, she added, and would be repeated this year. The broadcaster also said the annual People of the Year awards, set to be broadcast next Saturday, “highlights many often unsung Irish heroes and charities who do tremendous good throughout Ireland”. 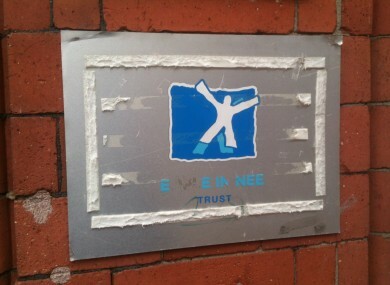 The most recent accounts filed by the People in Need Trust – filed in January 2012, but only covering the financial year 2009 – said the company’s board of directors were “currently considering the future strategic direction of the charity”. The Telethon is listed as the main source of income for the Trust, and how the event was “based on the support of the general public, corporate donations and the services of volunteers”. The trust paid out just over €6 million in grants in 2009, while also running an operating deficit of €87,622. It had approved the distribution of almost €6 million in grants in 2008, after recording a net surplus for 2007 of €6.76 million. Harvey said another meeting of the Trust was due later in the autumn, when the board’s directors would discuss any future plans for other fundraising events. Email “People in Need Telethon 'has run its course', admits head”. Feedback on “People in Need Telethon 'has run its course', admits head”.